Estee Lauder Sensuous is intended to bestow you special East woody smell. Estee Lauder Sensuous 100ml. Eau De Parfum is a oriental woody fragrance for women. Do you wish for an interesting scent, which will be more suitable for evening fun? You do not want bland fresh perfumes that nothing lasts and often do not even know that you are wearing. Try an exotic cocktail of flowers with a delicate hint of wood and indulge in the warm feelings of bliss and harmony perfume Sensuous! At the beginning of this delightful scent exudes the sweet lily, magnolia and jasmine decent. Later they opened the soothing tones of vanilla in conjunction with a sensual amber. At the end of a beneficial mix honey with delicate pepper and juicy mandarin. Indulge yourself to the countries of the Orient, which will gain inner strength and become irresistible. Under perfumes Estee Lauder choose energetic woman looking for fresh and slightly floral scents. On his coming admirers rich exotic cocktails fruit, spices and woods. To superior quality and long tradition, reach for the perfume from Estee Lauder and you will not regret it! Become a diva admired, which publishes every night to hunt dressed in uniqueness! No man can resist when you smell the scent of sensual faraway lands. Estee Lauder perfume is right for you! Looking for an interesting flavor, suitable for a night out, a scent that will last long and will attract everyone's attention? Then you will not regret it if you try an exotic cocktail of flowers with a delicate touch of woody notes which is found in perfume Estee Lauder Sensuous. The fragrance starts with notes of lily fascinating, magnolia and jasmine that gradually transform into delicate essences of Vani and amber. Perfume base is made of unique ingredients such as honey, pepper and mandarin. Start an adventure novel whose Sensuous perfume will make you irresistible oriental notes. 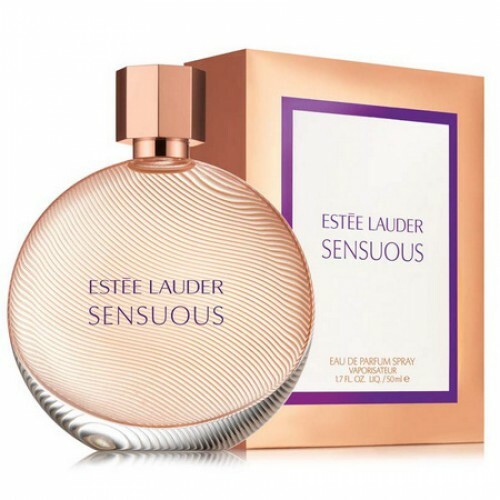 Estee Lauder Sensuous is suitable for women who want to experience an energetic aroma, fresh and flowery promises the same as what is found in all products Estee Lauder brand. Choose to become irresistible Sensuous perfume is the right choice for you! woody-amber fragrance for women. Karyn Khoury, senior vice president of Estee Lauder, said: "We wanted to rediscover women woody fragrances, show that it is not men's formula and warm and cozy arrangement.